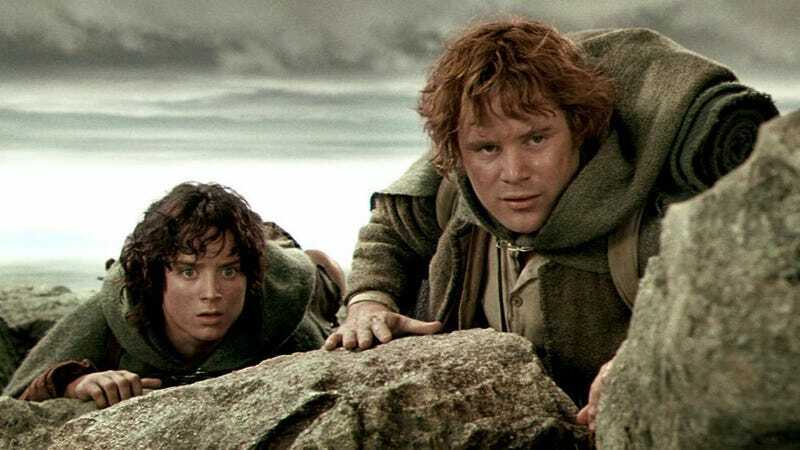 The news this week that Warner Bros. and Amazon are now working on a The Lord of the Rings series came as a bit of a surprise, since it’d been widely assumed that Christopher Tolkien would never give anyone the rights again. It’s now come out that Tolkien, who has safeguarded the rights of his father J.R.R. Tolkien’s work, recently resigned as director of Tolkien Estate—signifying a major change on the horizon for adaptations of Tolkien’s work. As reported by TheOneRing.net, 93-year-old Christopher Tolkien officially retired from Tolkien Estate on August 31, hinting at his departure in the preface for J.R.R. Tolkien’s Beren and Luthien, which Tolkien edited and published earlier this year. The revered Tolkien scholar, who spent decades organizing J.R.R. Tolkien’s estate, was notoriously protective of his father’s work. Movie rights for The Hobbit and Lord of the Rings had already been licensed in the 1960s (leading to the Warner Bros. films that Christopher Tolkien reportedly hated, according to a 2012 interview with Le Monde), but little else of J.R.R. Tolkien’s property rights have ever been parceled out. In fact, Warner Bros. and Tolkien Estate recently settled a legal dispute over use of Peter Jackson Lord of the Rings movie characters in video games and slot machines. Christopher Tolkien wasn’t keen to expand the franchise, it’s this dispute, among others, that always lead people to think that the Peter Jackson movies were all we’d get.